Digitization can make your company’s global supply chain more efficient, cost-effective, and customer-focused while making sure it doesn’t fall behind the curve. Here’s how to do it. If you think tech-centric terms like the Internet of Things (IoT), artificial intelligence (AI), and big data aren’t impacting your supply chain and logistics, think again. When these and other advanced technologies converge, they help create a digitized supply chain that’s more efficient, customer-focused, and cost-effective than its predecessors. According to Gartner, the digitization is also posing new challenges for organizations, which have suddenly found themselves having to adapt to a shifting global trade environment and rapidly changing customer expectations. “Moreover, as growth is the CEO’s top priority, chief supply chain officers (CSCOs) are under pressure to harness digital technologies to deliver,” Gartner’s Rob van der Meulen writes in A 5-Step Innovation Process for Supply Chains. Leverage track-and-trace technologies.The demand for real-time supply chain visibility is at all-time highs right now. It’s no longer enough for shippers to simply know when orders left their loading docks and hope that those goods get to the right place at the right time and in the right condition. A verification risk management capability, track-and-trace helps business partners, authorities, and ultimately consumers to manage and respond to risks—both potential risks and those that have already occurred—in a responsive and documented way. Put RFID, Bluetooth, and 3D printers to work. According to PwC, radio frequency identification (RFID) and Bluetooth technologies are being used to inventory and track movement of items indoors, such as inside factories and warehouses. “3D printers generate readable sensor tags that can be attached to cargo and capture temperature and humidity conditions,” PwC continues. “Global system for mobile communication (GSM) and satellite tracking are used in maritime transport, and ship sensors monitor engine performance.” When combined, these tracking mechanisms help companies gain better visibility over their end-to-end supply chains, logistics, and transportation networks. Let robots into the warehouse.If the idea of robots zipping around your warehouse, working side-by-side with humans, still sounds like the makings of a good science fiction novel, it’s time to put some of these autonomous bots to work in your supply chain. 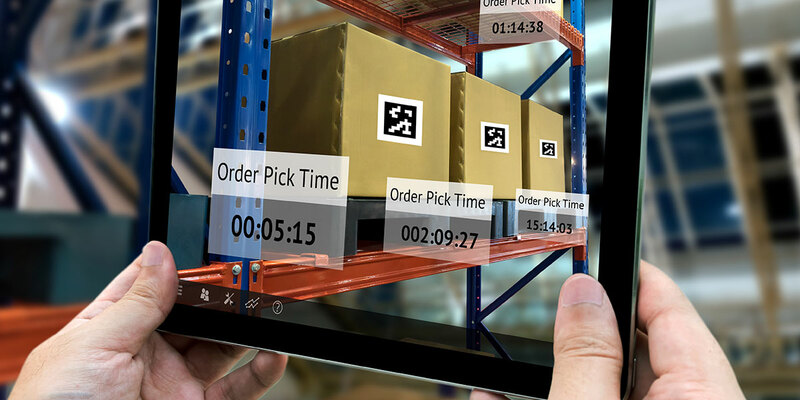 “With the recent evolution of goods-to-person and robotic order fulfillment technology, your operation may be in a better position to incorporate these automated solutions now than in the past,” Mike Futch writes in Rise of the Warehouse Robots. “In many cases, the implementation of automation to reduce or improve the leverage of labor is a key driver now.” Here’s the good news: these new, automated solutions are now available at a lower capital investment and can be expanded as needed, which reduces the initial investment and improves overall ROI, Futch notes. Take a comprehensive approach to supply chain digitization.Companies that are currently the most advanced are also planning to invest the most in the digitization of their supply chains over the next two years, according to In fact, the gap between levels of maturity is widening, and may soon become insurmountable. “The next two years will see the inflection point in how the digitized supply chain drives competitive advantage and growth,” Huge Moreno writes in How A Digitized Supply Chain Can Give You a Competitive Edge.